It’s still slow going, but I spun another skein of yarn for the artist show on Saturday. 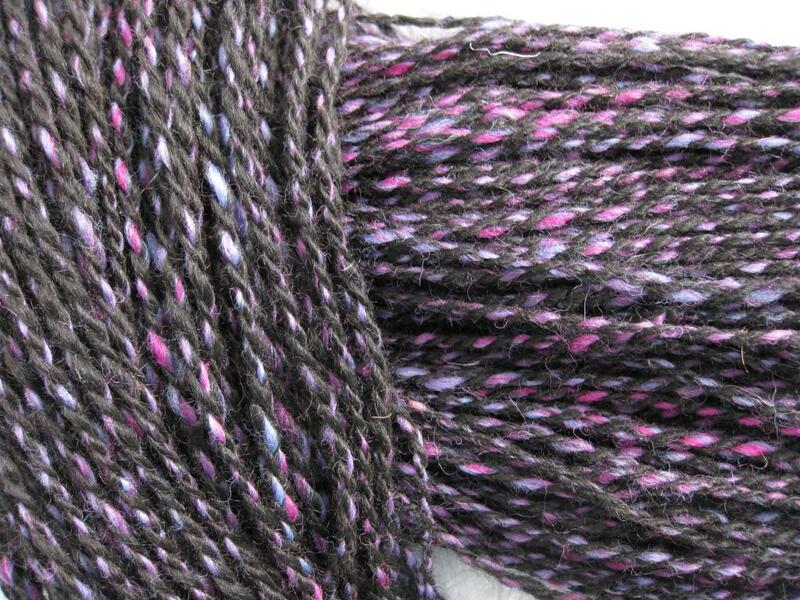 This yarn is 80% Brittany, 20% purple merino/silk blend. 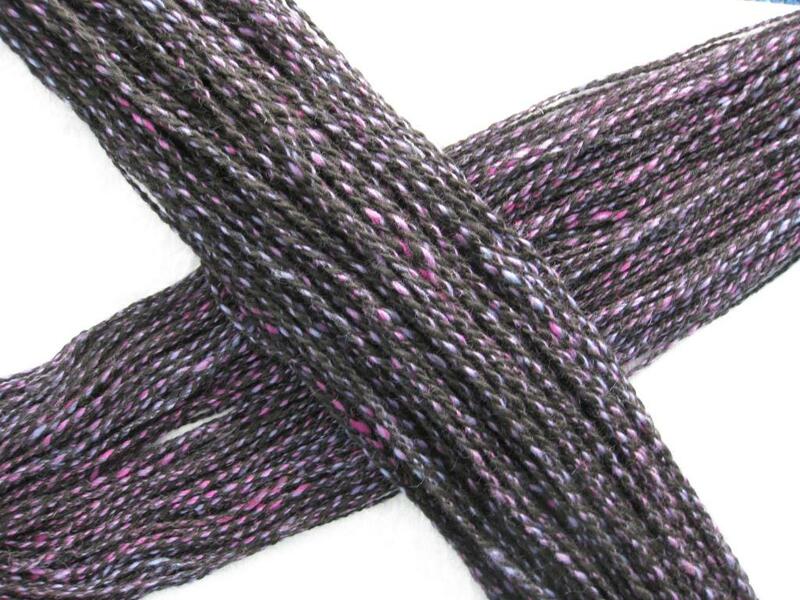 I can really see the difference between the skein I spun before the great window disaster and the one I just finished. There is more purple in the older one, and it is finer (it’s the one on the bottom in both pictures). Ah well. Still pretty, and soft. I quite like it. Hopefully I can crank out one more skein tonight. This entry was posted in fiber art and tagged alpaca yarn, handspinning, handspun yarn, merino, silk, yarn. Bookmark the permalink. Speaking as a knitter, I doubt if it will matter much in the long run. As I am still a medium skill novice spinner (on a good day), and a knitter as well, I learnt to compromise. For making a garment, just make sure that you don’t change balls in the middle of a sleeve or halfway up the back. Then it doesn’t show. Beautiful colourway by the way. That’s good to hear. I’m not much of a knitter. I used to crochet, blankets mostly, but I’m so out of the habit, I’m not sure anymore what I would think of my own yarn. Kind of strange. Thanks, I love this colored roving. I bought all the store had, and I’ve already made quite a dent in it.